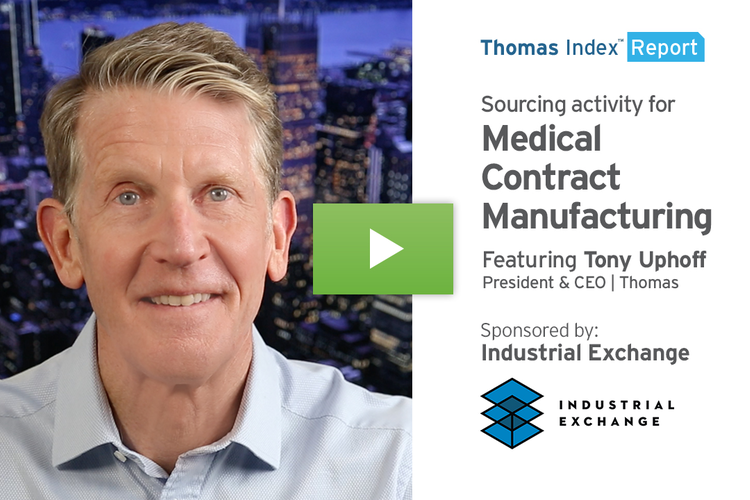 This Thomas Index Report is sponsored by Engineering Specialties, Inc. in Connecticut, a leader in high precision metal stampings. Hello again. This week we’re going to take a look at sourcing for Stampings by users of the Thomasnet.com platform. 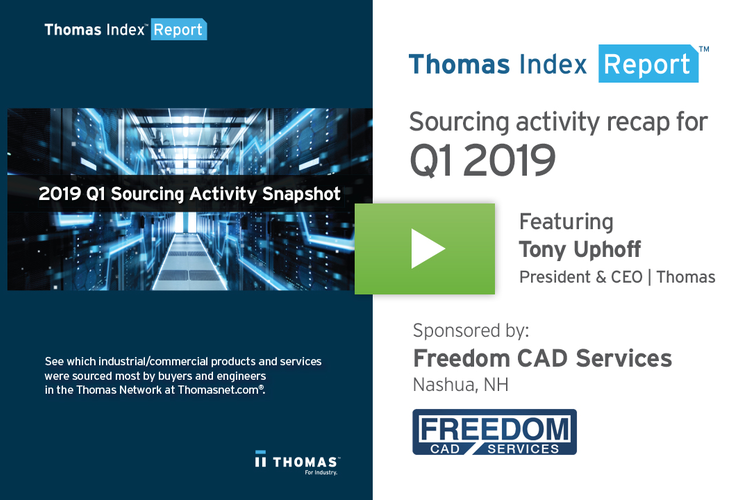 Our data shows that over the past 12 weeks, sourcing activity for this core manufacturing process is up 63 percent over its historical average. 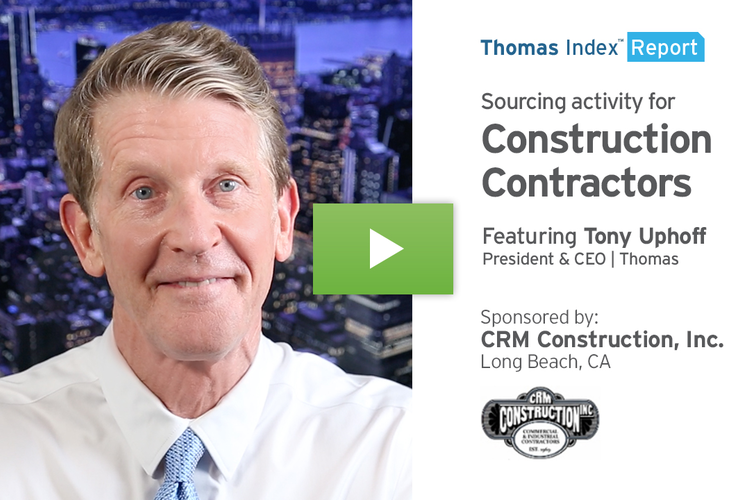 Our firmographic buyer data shows that the top three industries driving this trend are Industrial Manufacturing, Construction, and Government & Military. Metal stamping is a hugely competitive market; there are over three thousand North American stamping suppliers on the Thomasnet.com platform alone. Recent steel and aluminum tariff announcements have created some uncertainty in this industry, due to their impact on the costs of raw materials. Faced with the prospect of lower cost competition from overseas, many stamping suppliers are increasing their focus on high-tech automation, quality control, and efficiency to remain cost-competitive. 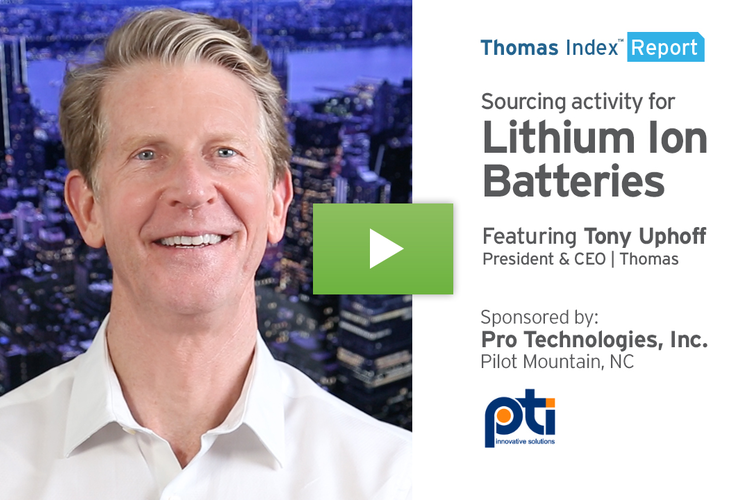 The good news is that there appears to be an abundance of opportunity in the market; metal stampers that work with Thomas report that they’re seeing workloads that rival pre-2008 levels, with increased volume requests for existing business and new business. 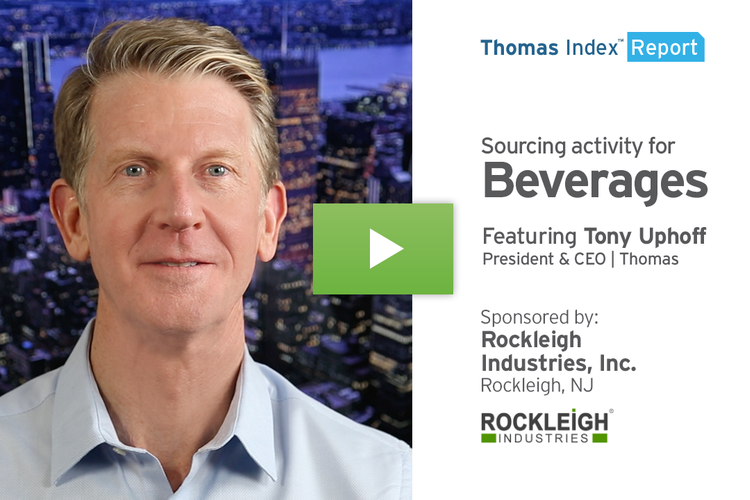 The upward trend in sourcing activity we’re seeing is likely driven by manufacturers with drastically increased need, seeking suppliers that can not only deliver competitive pricing, but that also have the capabilities and capacity to take on more work. In addition to the category of Stampings, sourcing activity is also up in the related categories of Custom Aluminum Extrusions, which is up 153 percent month-over-month; and Precision Sheet Metal Fabricating, which is up 93 percent month-over-month on our platform. 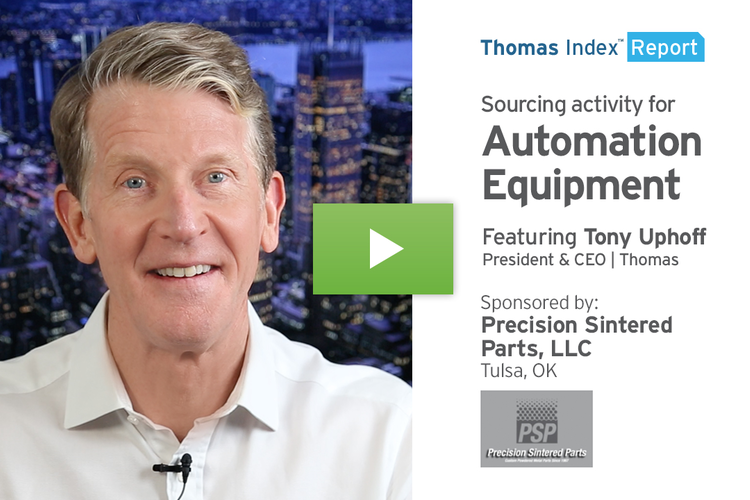 Moving on from these categories, here’s a look at the top ten industrial product and service categories being sourced on the Thomasnet.com platform over the past four weeks.